Blessings to each you for a Happy, Healthy, and Miraculous New Year! Actually I believe that this is the year that we can enter the Miracle Zone and begin to make miracles a way of life. Have you noticed how things just happen miraculously in your life? For the last few months I have been noticing miracles all the time. And a lot of people are talking about miracles in a very ordinary way. Astrologically we entered the miracle zone December 12, 2018 when Jupiter (the good luck planet) entered Sagittarius. Jupiter rules Sagittarius. Together they are an uplifting and positive team. Jupiter is in Sagittarius through December 1, 2019. This is an opening to enter the miracle zone. I am devoting all my blogs in 2019 to this theme to take full advantage of this opportunity. Adding to the astrological good news, the digits of 2019 add up to 3. In Tantric Numerology this is the year of the Positive or Expansive Mind. 2019 is a defining year. 2020 is also a defining year in another way. In 2019 we are supported in getting ready for 2020, when major planetary alignments in Capricorn initiate three new long term cycles. We seriously need to take advantage of Jupiter in Sagittarius to enter and practice staying in the miracle zone. We are going to need to be solidly connected to and living in the miracle zone in 2020 when things get heavy (yes heavier!). I will write about the astrological events in 2020, their energies and implications in the next blogs. And I will be sending out two blogs every month so we can be prepared. This blog focuses on setting our goals for the new year, with the intension of anchoring ourselves in the miracle zone in 2019. Yogi Bhajan used to talk a lot about shifting our way of living from ‘struggle and go after’ to ‘relax and attract’. He was teaching us that with the practice of Kundalini Yoga we can move into a miracle mode of living. We can actually make that shift now. We are being supported in moving out of ‘fear, struggle, and scarcity’ to ‘love, flow, and abundance’. The miracle mode of living is available and possible. But we have to do what it takes to get there and stay there. It is the only mode that is going to work after 2020. Actually it is the only mode that works now. We don’t create miracles, but we can create the conditions in ourselves and our lives that make them possible. Our primary job in 2019 is to upgrade to the miracle mode of living. We connect with the miracle zone in our neutral mind and heart. Our soul lives in the quantum field, the realm of expansion and possibilities, i.e. the miracle zone. In the miracle zone or quantum field, our path is paved with grace. We are able trust and accept life as it unfolds and live in gratitude. The quality and depth of these relationships depend upon operating from awakened consciousness. In this blog we look at the most basic aspects of our relationship with ourselves. Future blogs will address the dynamics of all three relationships. The Jupiter and Sagittarius archetypes are about seeking and finding deeper levels of the truth. We need to expand our mind and open our hearts to awaken to the truth. This message contains what I consider is the most important instruction related to our relationship with our self — Tell yourself the truth. To get what we want (or to attract something better), the most basic requirement is that we have to be honest with ourselves. Self honesty is required to align with our soul and universal energies. Attraction is about alignment. Actually we are always attracting. We want to optimize what we attract. We build the foundation of our life with how honest we are with ourselves. Some people ask, ‘What is being honest with myself?’ Listen to what you are saying to yourself. Listen to your inner conversation and you will understand. And you may be shocked. There are two basic voices. One voice is our fear-based limited ego talking. The other is our soul, which speaks through our intuition. Which voice are you listening to? Entering the miracle zone requires that we be able to tell the difference. Dishonesty comes from fear. Honesty is possible with acceptance and love. Fear arises from the limited and wounded ego. Love arises from the purity of the soul. We can choose to listen to, follow, and be true to our soul. If we live a lie, we can never find happiness and inner peace. In denial and deception, we are always in a state of confusion, anxiety, and stress. Lies block and distort the truth of who we are. Our energy is not pure and authentic. We are unable to experience our true self. Living in illusion and self-deceit turns into an addiction. Who wants to be an addict to lies and illusions? Many people are. Many, many times I have asked my students to reflect on decisions and actions that they took in the past that they know now were not the best. Then I ask them, did you know at the time that you were not making the best choice. Everyone responds that every time they knew. But they chose not to follow their truth. Our truth is not far away. It is always present when we listen. The voice of our truth gets stronger when we believe it and follow it. Our life transforms from a wilting flower to a budding rose. It is true that the truth will set you free. So tell yourself the truth. No other human can listen to your inner conversation. And by the way, who are you talking to? Your mother, your father, your partner, some fantasy, God? Listen to your inner conversation because you are talking to God. The whole universe is listening. Actually with our thoughts and emotions, we are transmitting and communicating with our vibration. What we transmit determines what we attract. Are you projecting fear, negativity, resistance, discontent, and lack? Our optimal alignment happens when we tell the truth and project acceptance, openness, kindness, love, and authenticity. Don’t buy into the idea that God and the planets are far away and not paying attention. In the reality of oneness all the universal energies and their Source are what we are made up of. How we interact with universal energies determines how they impact our lives. The good and the bad news is that there is no place to hide. The question is how far away are you from your own truth? Keep a list of wounded ego-based lies, thoughts, wishes, and desires. Reframe these from your truth and soul perspective. Remind and train yourself to listen to and speak to your soul. In the past, I have set a lot of intensions that I realized later that I really didn’t want. Fortunately I didn’t get them. How about you? When I was younger I would always pray to do my destiny path. I really had no clue what that was until after fifty and then it became known to me only gradually. And what I am doing here on planet Earth is still being revealed. So don’t expect to know everything right now. That isn’t possible. Life unfolds as we live it. So let’s focus on living an honest and meaningful 2019. There is a good chance that we don’t even know what we really want. So we tell ourselves (and the universe) the truth — I don’t know exactly what I want. Instead of faking it, we search inside for some general guidelines on how we want to live our lives. Examples — I would like to live a more contributory life, take care of myself better, be healthier, have more financial stability, and above all relax and be at peace with myself and my life. The worldly categories of what we want are basically the same for all of us — prosperity, inner peace, physical health, right relationships, and do our destiny/mission. Set your goals for 2019 so that you are in a position to attract, receive, enjoy, and be in gratitude for all the gifts from the universe. Our new year’s resolutions help direct our journey. Who is asking for what? First, identify who is asking for what. Our earthly personality is here to serve our soul. We must ask for what we need to do the next step in our soul’s journey this lifetime. Be careful to create intensions from your soul. The feeling qualities that arise in your body help you tell the difference between soul and limited ego. * Love, not fear. Peaceful, not stressful. * Attracting and then taking action, not fighting or struggling to get what we want. * Following our inner guidance and going with the flow, not manipulating and controlling. It is always wise to ask for clarity and direction. The Tao says – let go of your preferences and everything will be clear. I suggest setting your overall goal to live in the miracle zone. This general goal is not focused on details, but on being in the flow of life. Everything will unfold in the miracle zone. I also suggest to set the goal to tell yourself the truth. Set a few open ended soul intensions that the Universe can embellish and support in the best way possible. These are realistic goals that keep the door open to expanded possibilities. In the category of prosperity, a reasonable goal is to increase the amount of your monthly disposable income by a certain sum. You decide what sounds doable, since the money might not fall from the sky. This blog is an invitation all of us to dedicate the whole year to cultivating our imperturbable connection with the miracle zone. Remember, we are taking advantage of this special year when Jupiter in is Sagittarius, whichonly happens every 12 years. For each of us, this will require recognizing and releasing resistance and self-sabotage (themes covered in future blogs). Remember, our goals are for the whole year. Every day of the year we re-commit to practicing entering, staying in, and living from the miracle zone. Living in the miracle zone is not an escape route from taking responsibility for our lives. In the miracle zone, we are accountable for what we do or don’t do, and we have to take action. We stay connected to what our soul is telling us to do now/next. We take one step, one day, at a time. My goal for everyone is that 2019 be the most uplifting and expansive year of your life so far. * You will have no doubts that living in the miracle zone is possible, the best way to live, and the optimal way to attract opportunities. * You will witness step by step progressive unfoldment of your destiny path by tapping into the vibrational frequency where that is possible. Take one day at a time. Give everything that you do value. How you do what you do is critical. Cleaning up and washing the dishes are clearing the space for miracles to happen. 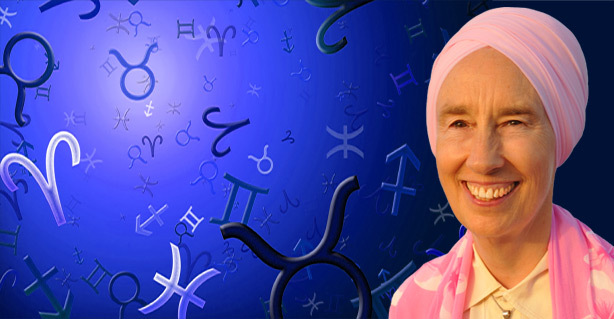 I will be sending you blogs two times a month to keep your personal and our group process alive and relevant to the current astrological energies. The Solar New Moon Eclipse in Capricorn is coming up January 5-6. May you enter and enjoy the miracle zone in 2019! Please share this blog with your friends, family, and students so that we can support each other to be in the miracle zone in 2019. I look forward to hearing from you. You can send a message or response to Guru Rattana on Facebook.